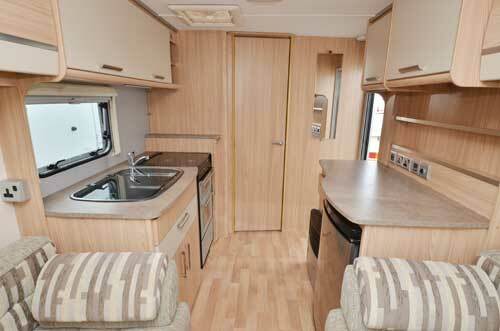 Want a little extra bit of space and luxury and an end washroom two berth well dealer specials are a good bet. 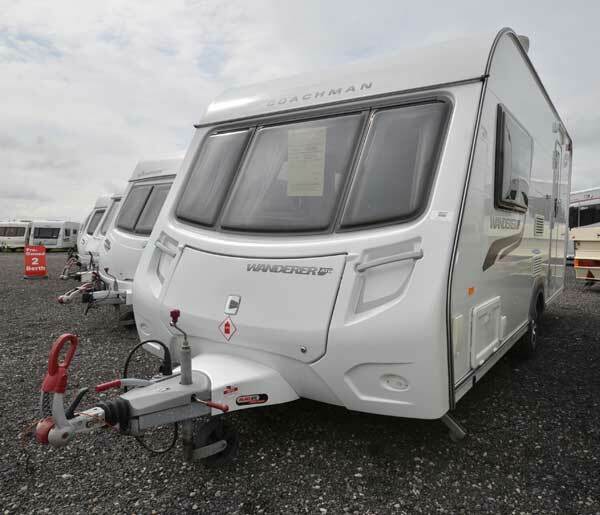 Look out for the Coachman Wanderer 152 a solid tourer that’s got lots going for it. There are older versions around but the 2011 new profile is the one to go for. Made for Wandahome Knottingly dealership the Amara based Wanderer is worth seeking out. You may have to do a little extra searching but the good spec including ATC and modern interior makes it a well worth search. The Wanderer from 2011 is light enough to be towed by most small family cars such as a Golf estate or Octavia. Great build the spec includes upgraded soft furnishings, microwave full oven and a cracking end washroom with great space and excellent storage. 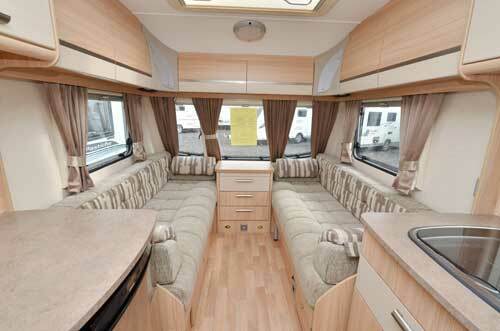 It’s worth hunting out over the standard Amara for its extra kit and upgraded soft furnishings. Amara range has proved popular since it was introduced in 1999 and soon became a top choice as a dealer special so plenty around in other guises. The base range the Amara was never classed as entry level more of an upper entry level line up. The Wanderer was used on the original Coachman Mirage entry level models back in the mid 90’s so it’s a well established dealer special. Front lounge area is very spacious and comes with quality seating too and a central chest of drawers is well placed. Excellent night lighting is provided plus a Heki roof vent allows in plenty of natural light and ventilation. Alarm sensor is fitted here plus two blown air outlets and to make up the double bed a simple slide out section from one of the seat bases provides a quick bed making routine. Side kitchen comes with fridge and full oven with a four burner hob and a stainless steel sink. Microwave is fitted and storage is good too and an extractor fan is fitted in the ceiling. Opposite is a side dresser with added storage plus extra worktop and a spot to place a TV on. It also houses the fridge and the Truma heater. The washroom is one of the best in its class with a circular shower cubicle plus electric flush loo. It also has a wardrobe fitted with drawers in the base. A window is fitted in the rear wall and also the hand basin is deep and has a large mirror fitted above it. It’s a great end washroom that means you can use sites with few facilities. The Wanderer is a great tourer which comes with all that extra kit, and it’s not gimmicky either such as the ATC and the alarm will all help in the insurance stakes. Acres of storage means couples can go away for long tours, it even comes with an awning warmer as well as BBQ point and exterior mains socket, we say keep an eye out for this great two berth.